Starting immediately, Google Now is now giving developers the authority to allow pre-registration of apps that are not available for purchase yet. This could be very handy for apps that are currently not available in a particular region. You will be alerted when the app is launched in your region, thus ensuring that you don’t miss out on getting hold of your favorite apps. This works for free as well as paid applications and users don’t have to make any sort of commitment to purchase or download the app even if they pre-register, which is a good thing. 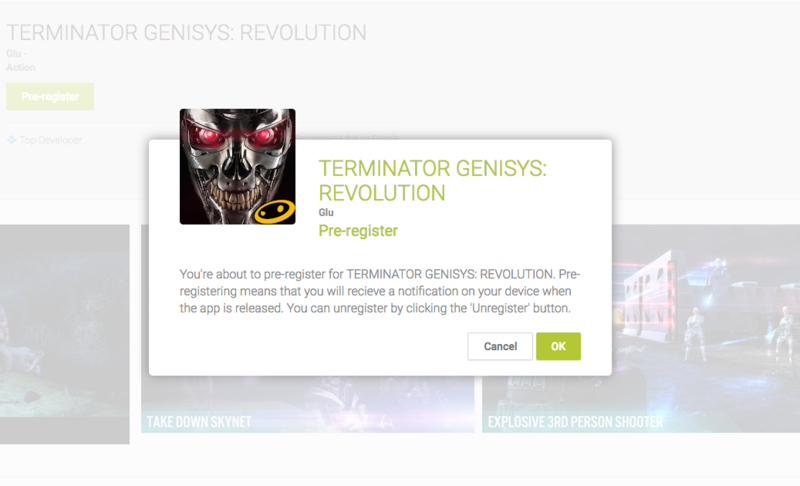 The feature is currently available on TERMINATOR GENISYS: REVOLUTION, where you will see the ‘Pre-register’ button replacing ‘Buy’. It seems to be limited to this app for the time being, but we expect more applications to be supported in the near future. Head over to the link below to pre-register the game.